93% of Americans have binged on content. If you’re like me, you’re probably thinking of those rainy Sundays spent on a Netflix bender. Netflix, Hulu, HBOGo make it so easy to continue the binge. One more episode, you think, as the next installment automatically queues up. Finished Stranger Things in one weekend? 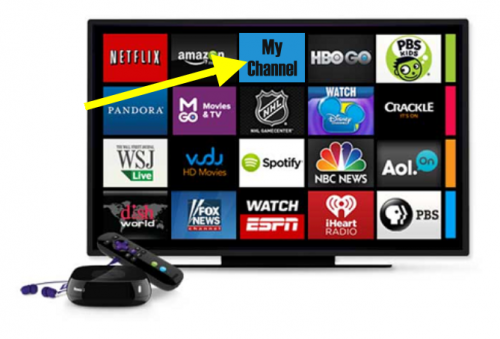 Here are 6 new, easily clickable suggestions to start a new binge. Now what if that same principle could apply to your content marketing? In fact, 93% of B2B buyers want bundled, bingeable content (Content Preferences Survey, 2017) , but only 42% say it’s easy to find the next piece of relevant content (Why Your Website Fails Buyers, 2017). As marketers, we put so much work into attracting the right buyers to our website. We get them there, but then we miss the opportunity to tell them what to do next. Ardath Albee, in her session How to Create Binge-Worthy Content Experiences that Move Buyers to Buy at Marketing Profs B2B Forum 2017, challenges us to stop talking about our products or brand and start focusing on building meaningful, purposeful experiences. To focus on engagement, rather than attraction. Re-frame those KPIS from people per page to pages per persons. If we do this, we can really use content marketing to drive momentum into our pipeline and move our buyers along their buying journey via content binges. 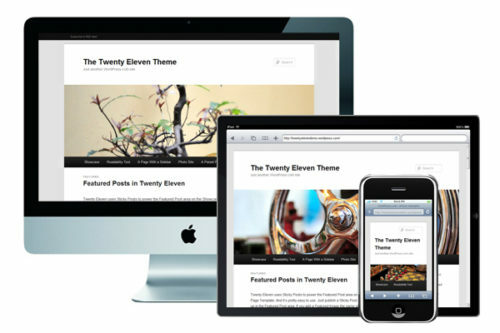 Traditionally, websites are built using tidy hierarchies based on type of content, i.e. products, blog posts, white papers. This structure puts the work on the visitor after they land to find the next piece of content relevant to them. And they probably won’t do it. Instead of organizing by content type, consider using a content hub that organizes content by industry, business need or by role. You will orchestrate more engagement by putting all of the related content in one easy to access place. And then crosslinking between related items. A content hub allows a visitor, no matters where they are in their journey, to find the content most relevant to them with less clicks. Ardath points out, we also need to be thinking about other people who influence that buyer’s journey. A side bar, for example, can link to executive content, your visitor could leverage to make a case to their boss. Create connected pathways: Answer the “What’s Next?” question to move your buyer through their journey, always point them the next logical piece of content in their journey. Trigger follow up with relevant “see also” content: For example, if a buyer has viewed two pieces of content, automate a message that points them to a third piece or ask them to subscribe. Personalize Content by Role: Instead of only thinking about industry, consider personalizing by role, as it is preferred by 67% of buyers (Content Preferences Survey, 2017). Include Data and Research to back up assertions: Buyers want you to backup your claims with data. If you are going to organize content for progression, you need to think through the questions the buyer is asking at each stage of the buying cycle. Use your brand’s expertise in order to answer these questions for them. If you are on point with your content and connected pathways, it will stimulate the buyer to ask “What’s Next”, inspiring a binge. A persona helps inform not only the perspective on the job that needs to be done, but also the obstacles that keep them from achieving objectives. Personas should also detail relationships with stakeholders, time in career, and motivations. Each persona should have a set of nurturing questions specific to them. They will be different based on how they come at a problem, how risk averse they are, how they relate to stakeholders, etc. Like with your Netflix home screen, the more customized the “What’s Next” recommendations, the more likely you are to press play. Many of us are still thinking about content marketing as a series of campaigns. The thing about campaigns is they typically have a start date and an end date. In a B2B world, when the sales cycle may be 18 months, how many deals can you close during a 3 month campaign. So in order to create truly binge worthy content marketing, start thinking always on and interconnected. Check out our list of other must see sessions at MarketingProfs B2B Marketing Forum. Also, follow along on Twitter by following @TopRank. 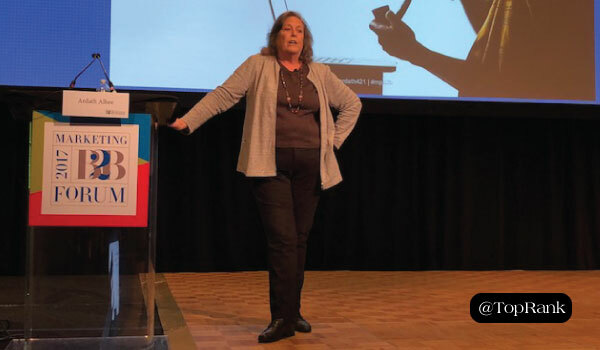 The post The Netflix Experience: Create Binge-Worthy B2B Content with Ardath Albee #MPB2B appeared first on Online Marketing Blog – TopRank®.